Wow, let’s go to beautiful Cape Verde! For only 299 kr you can fly roundtrip to this stunning island chain in the middle of the Atlantic Ocean. The flights are with Thomas Cook Airlines from Copenhagen directly to Sal (or Boavista). Included in the price are 6 kg hand luggage. You should check out the incredible Pico do Fogo, the Campo do Tarrafal and also pay de Farol de D. Maria Pia a visit. Relax at the beach or check out the amazing museums like the Museum de Tabanka. I hope your bag is packed, because your flight leaves in a few days. 🙂 There is some cheap dates in November – December. If you’re looking for hotels in Cape Verde, we recommend Booking for the best deals. Let’s go to the Cape Verde deal! Sign up for my Newsletter, and don’t miss anymore deals. 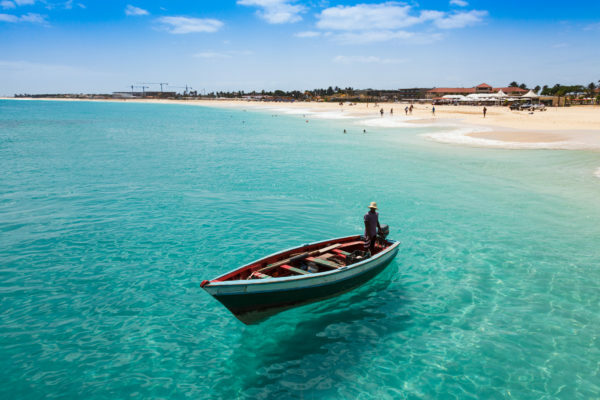 You’ll be the first to find out about our Cape Verde bargains!